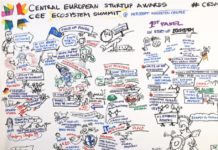 The CEE startup ecosystems will gather at ‘Central European Startup Awards Grand Finale’ in Budapest on 30th May at Google Ground. 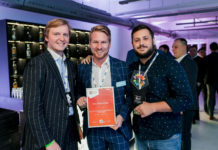 Central European Startup Awards is non-profit initiative, the “Eurovision Contest of the Startup Ecosystems” in the CEE, has been happening in 8 countries: Poland, Czech Republic, Slovakia, Austria, Hungary, Serbia, Romania and Bulgaria, with the vision to build a bridge between the local start-up scenes on a regional level. The long-term vision is to put the Central and Eastern parts of Europe on an axis with the Nordics, to drive collaboration and knowledge-sharing of the ecosystems. The Grand Finale is coming on 30th May (Friday) in Budapest, at the amazing venue of Google Ground. 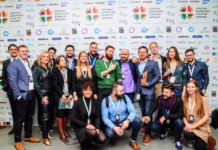 Together with the Hungarian Innovation TechShow it’s going to bring together the cream: cool startups, investors, service providers, some of them even visiting us from the US. Over the daytime, it’s going to be the TechShow running with roundtables (even Google and Facebook will participate one of them), exhibition of new technologies, pitches and networking, and in the evening the Grand Finale of CESAwards, closing with an international networking party. 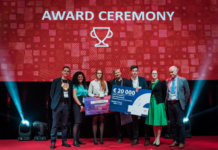 Use this code “EU-Startups” to get the tickets for both the TechShow and CESAwards for EUR 29 instead of the original price of EUR 99. We are giving students the chance to attend for EUR 10, IDs will be checked at the door. Peter Kovacs is the Co-Founder of Global Startup Awards, xLabs and IseeQ . He contributes to EU-Startups with founder interviews and stories, mostly from the CEE region.